Morning in an ocean-front room at the Utoco Deep Sea Therapy Center and Hotel at Cape Muroto. 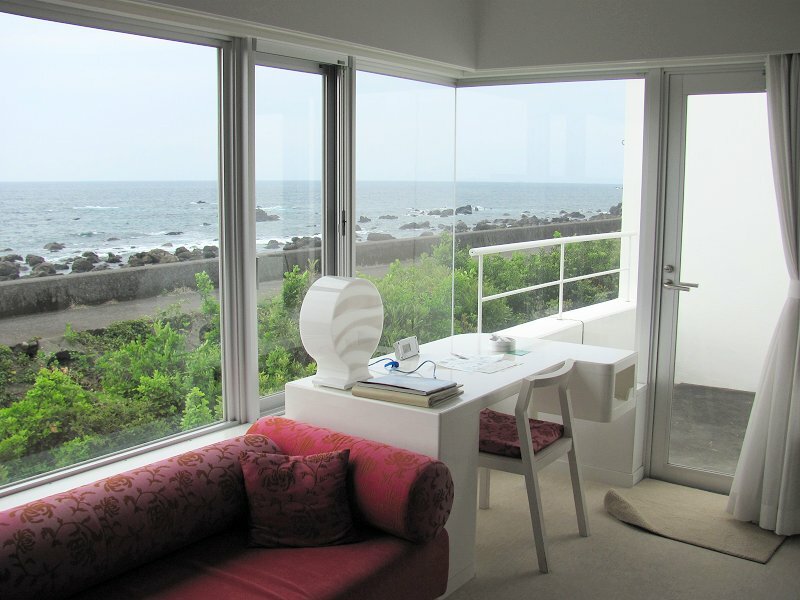 Modern European-style elegance in Japan. 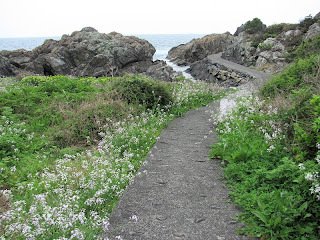 Fabulous Italian food with a Japanese influence using local ingredients and highlighting the bounty of the sea! Seaside path in the Muroto Geopark which highlights the geological features of the Cape Muroto area. 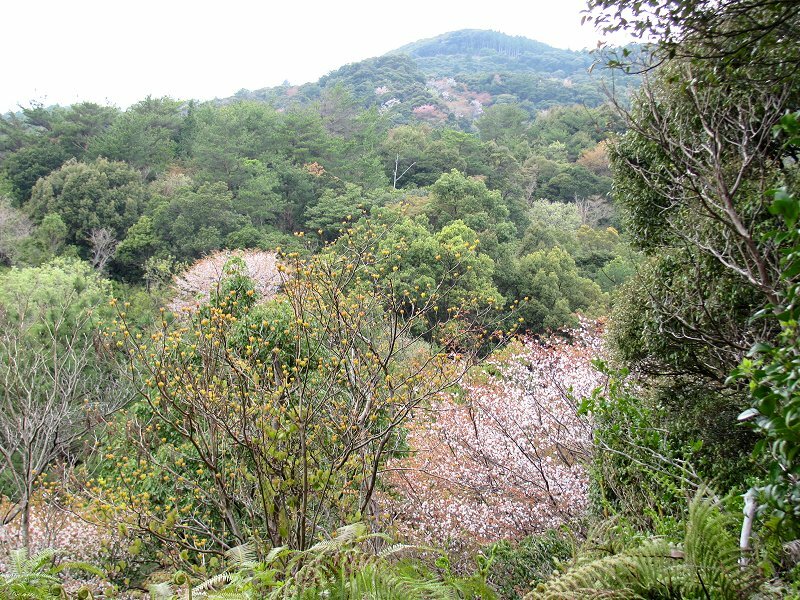 The Muroto Geopark is part of the Global Geoparks Network, a program supported by UNESCO. 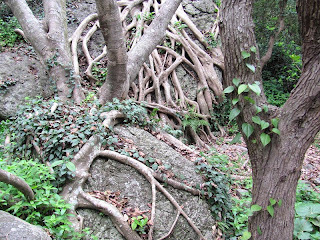 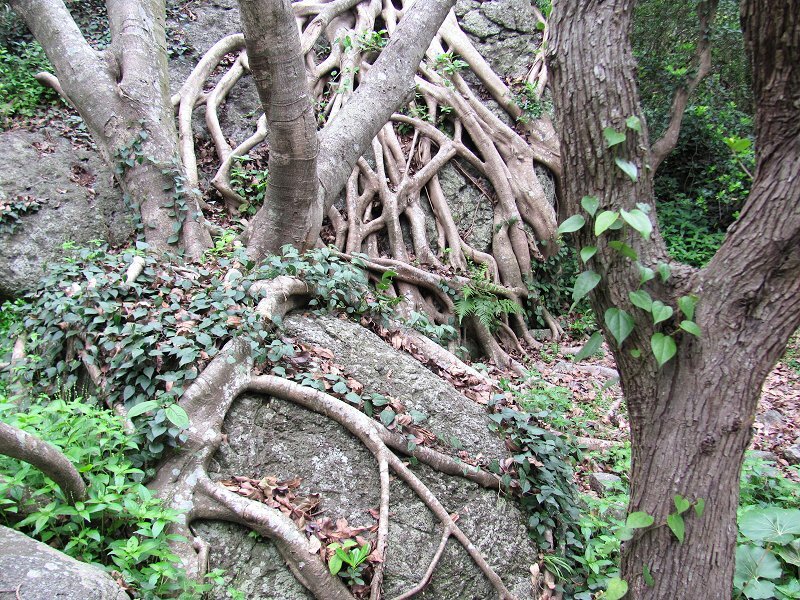 Roots of akō trees (a subtropical evergreen and member of the mulberry family) cling picturesquely to the boulders at Cape Muroto. 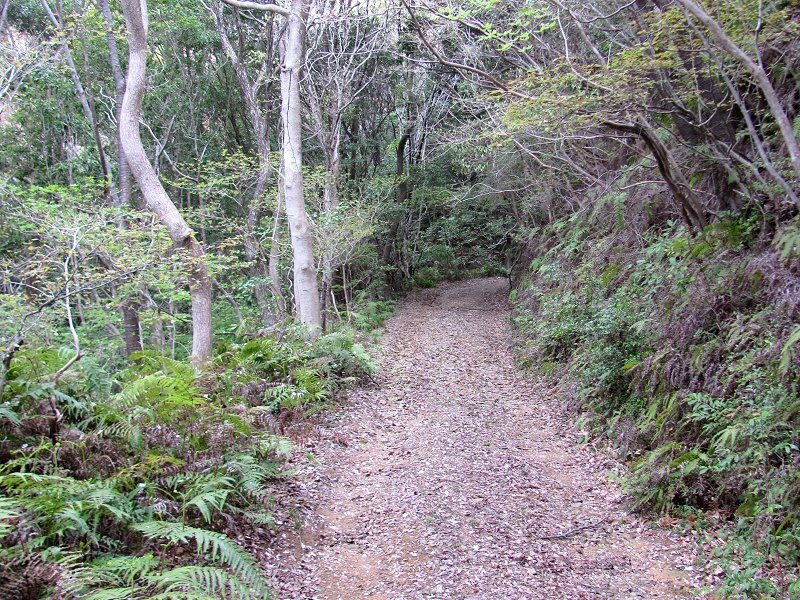 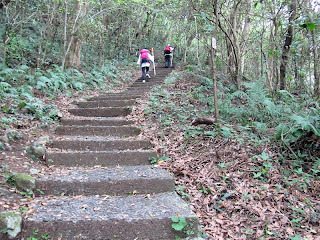 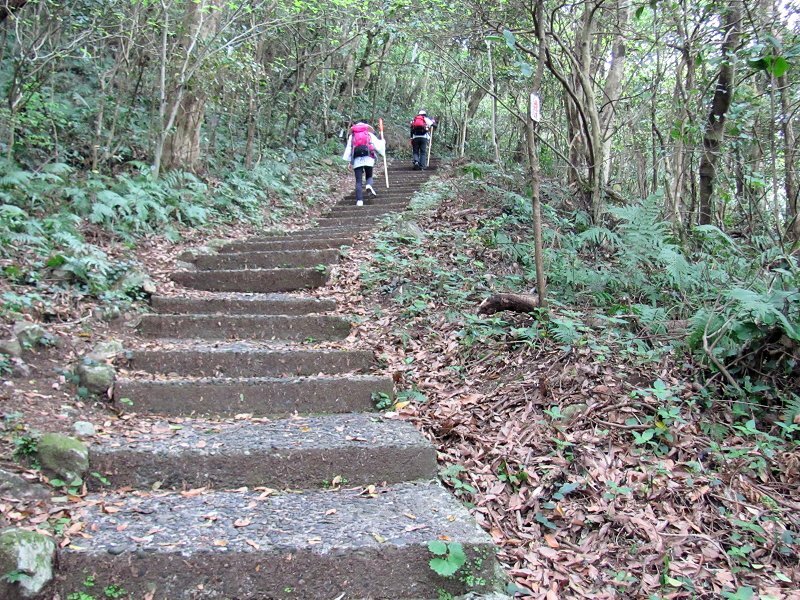 Fellow henro ascending the trail to Hotsumisaki Temple (Temple 24) at Cape Muroto. 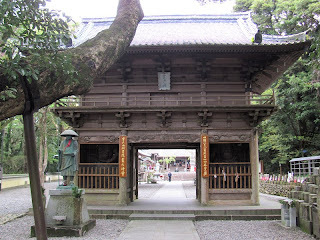 The main gate at Hotsumisaki-ji. 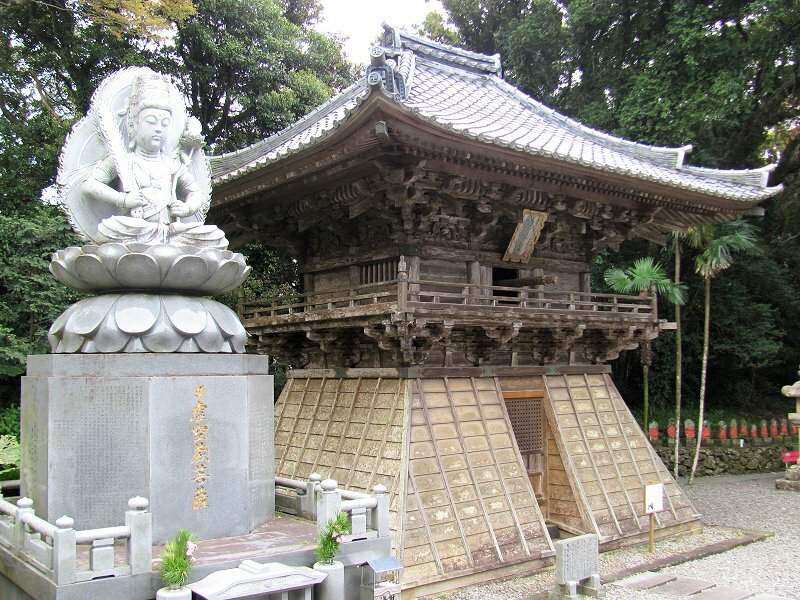 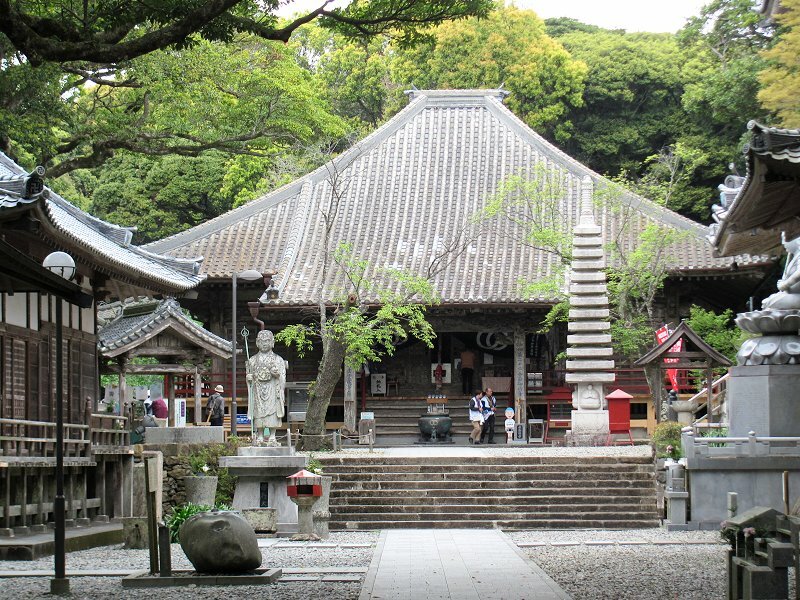 The beautiful main hall (hondo) at Hotsumisaki-ji. 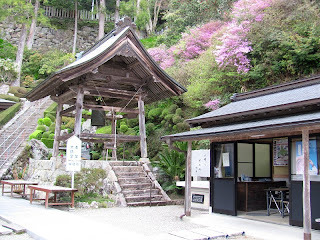 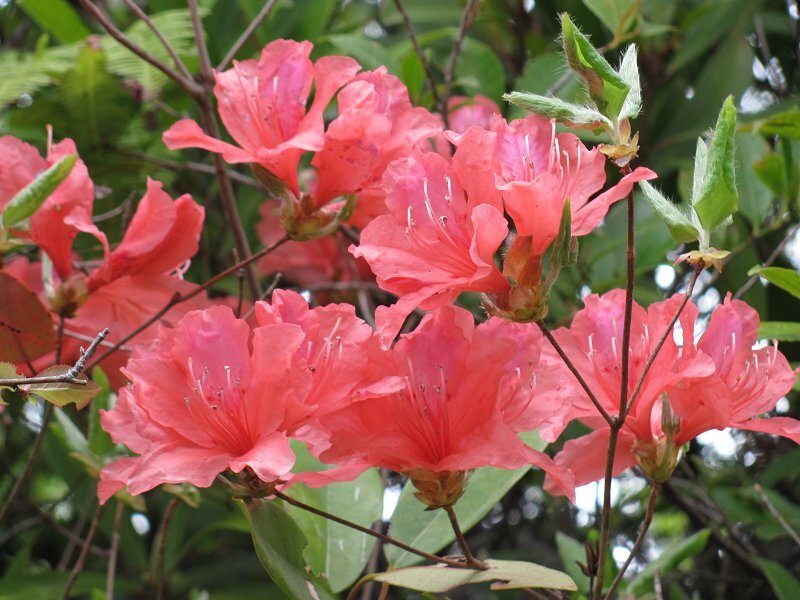 Azaleas line the path to Konomine-ji from the town of Yasuda. 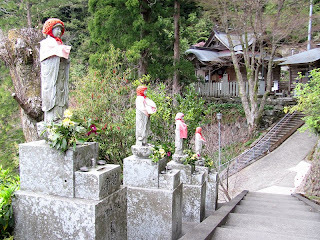 High in the hills above Yasuda town en route to Konomine-ji. 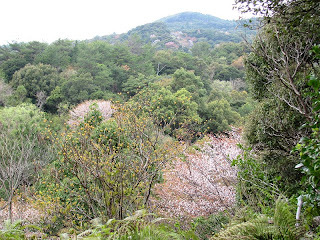 Blossoming cherry trees speckle the hillsides! The quiet path leading up to Konomine-ji (Temple 27). 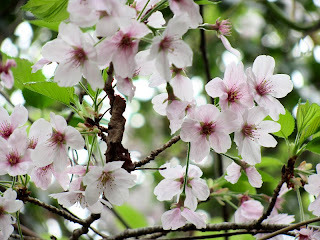 Close-up of the cherry blossoms along the path to Konomine-ji. 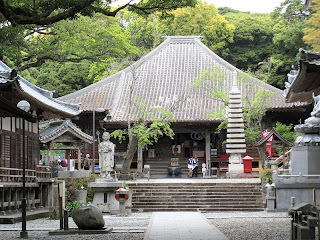 At the mountain temple of Konomine-ji. 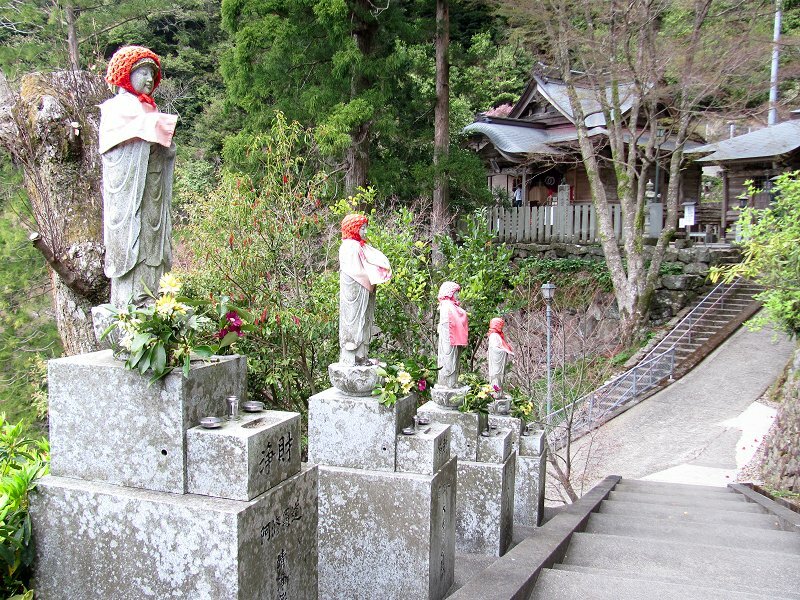 The temple is built on a steep slope, to the different part of the temple at located at different levels. 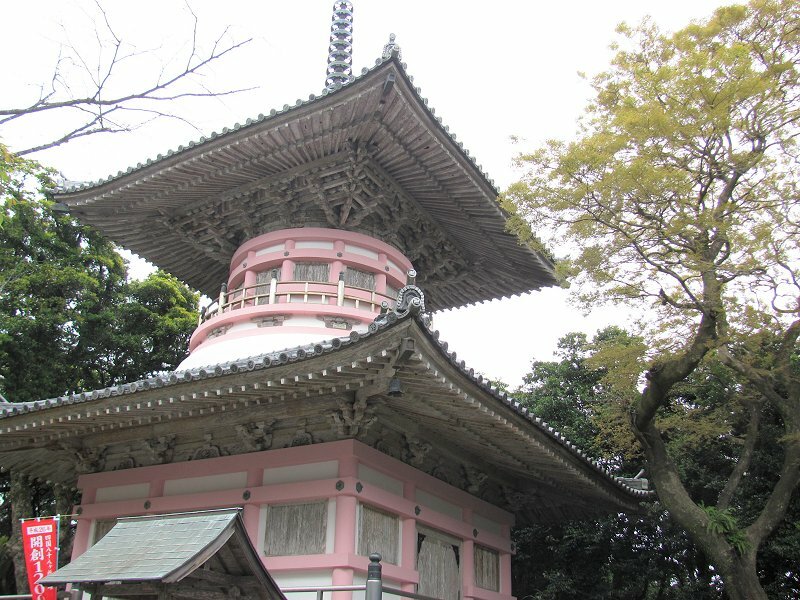 Bell tower and "clouds" of azaleas at Konomine-ji.